Open G-string made in an embroidered tulle coming from Italy. Adorned with matching red bead pendant. You can't be disappointed by this original and classy model. See also kali G-string closed, Kali Bra nad necklace. 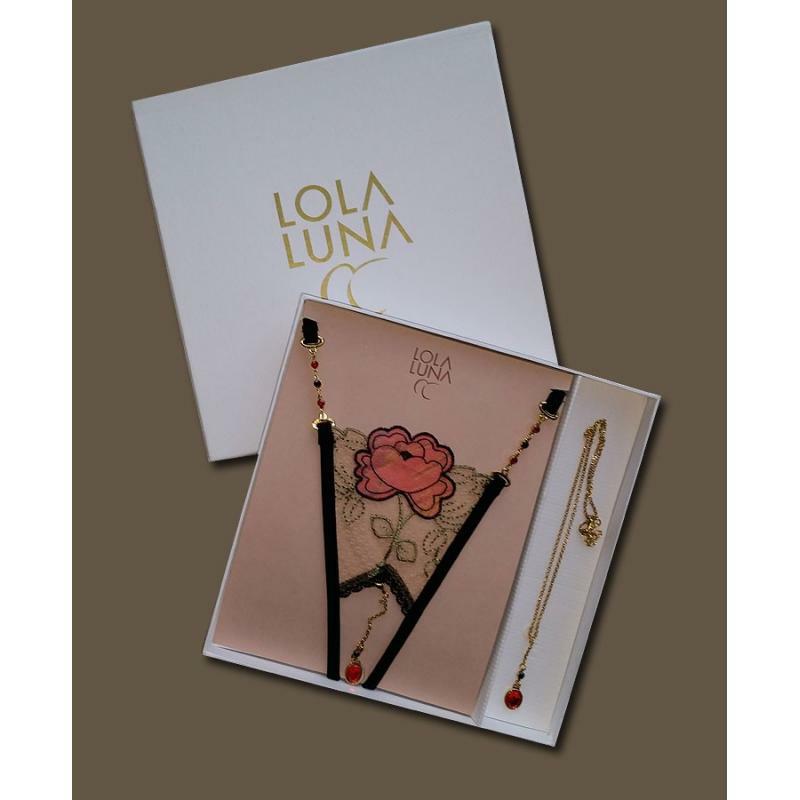 You can choose Kali set: open G-string with necklace in a lovely gift box Lola Luna. G-string open made in an embroidered tulle coming from Italy. Adorned with matching red bead pendant.